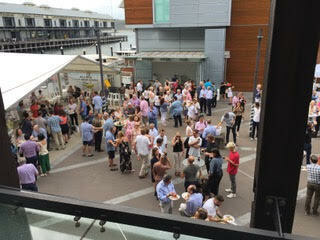 The Walsh Bay Precinct Christmas Party was a huge success. We hope you all enjoyed the event of the year! 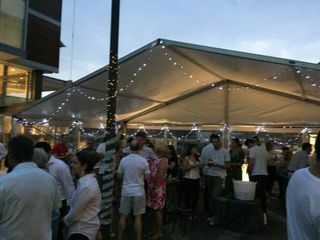 Our regular supporters and trades certainly did not disappoint with all of their help throughout the entire night. A BIG thank you, to all of you for being there, offering your support and assistance throughout the night. It was greatly appreciated guys. Aster Services for the fantastic service that the cleaners provided on the night, especially in the wet and windy conditions. Thank you, Aster! 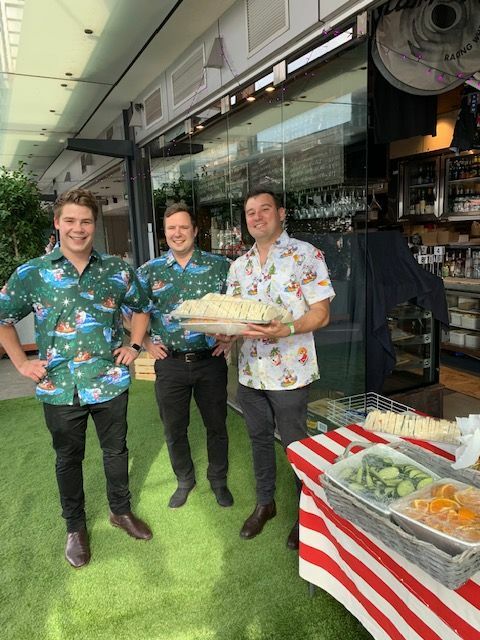 Also, thank you to the guys from Versatile and our very own Para for helping out behind the bar for the entire event. Finally, thank you to Dave Haggerty and all the Manage Meant staff who helped set up, run, and pack down the event. Thursday the 12th of December, 2019. 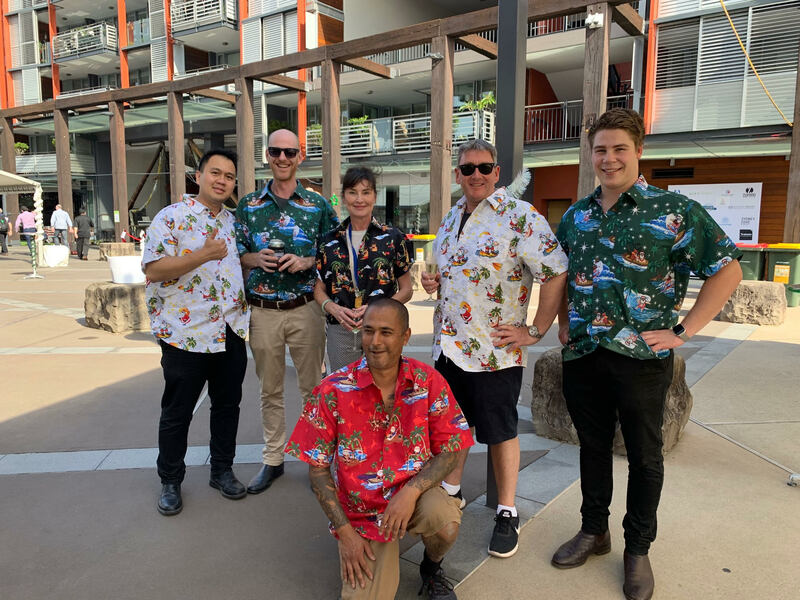 On behalf of the Walsh Bay Precinct Association and Manage Meant, we wish you all a very Merry Christmas and a safe and happy New Year! 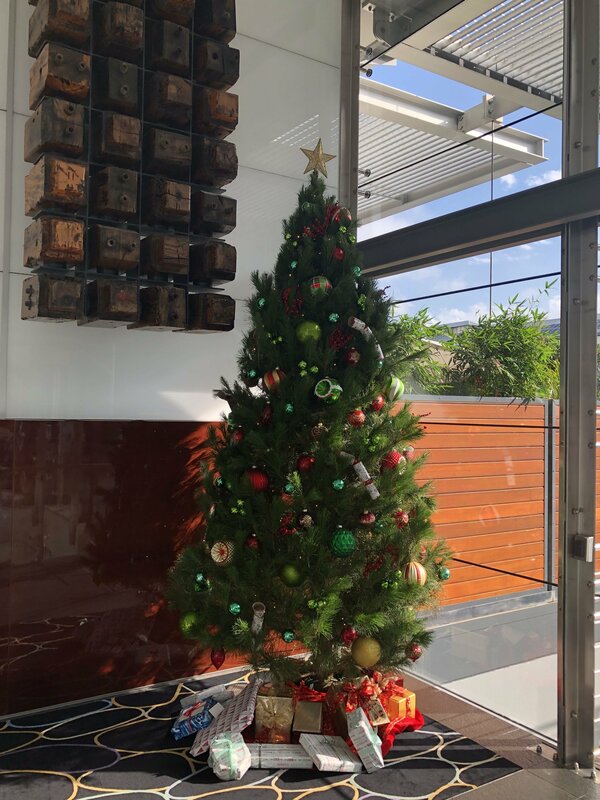 On behalf of the Western Suburbs Regional Council of the Saint Vincent de Paul Society, I would like to sincerely thank the Owners Corporation and Residents of Pier 6/7 for the wonderful and generous Christmas gifts donated for those we assist over the Christmas period! The Owners Corporation and residents have generously provided many beautifully wrapped gifts, which we will add to the Christmas hampers, which we will deliver to many disadvantaged families in the Inner West area over the next few days. I can assure you that all the families that will receive them will be truly appreciative and very happy. 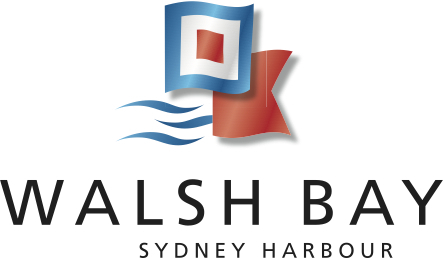 Stage One of the Walsh Bay Arts Precinct redevelopment has begun. 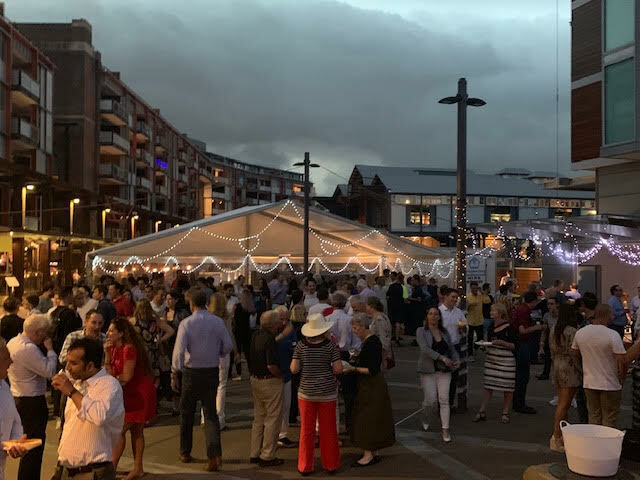 Once complete, the Precinct will double the arts and cultural offering at Walsh Bay, with new theatres, performance spaces and administration offices for some of Australia’s leading performing arts companies.